Cowes Harbour Commission is extremely pleased to announce that Cowes, Isle of Wight, has seven cruise ship calls booked for 2019, including four inaugural calls from some of the world's premium luxury cruise lines. 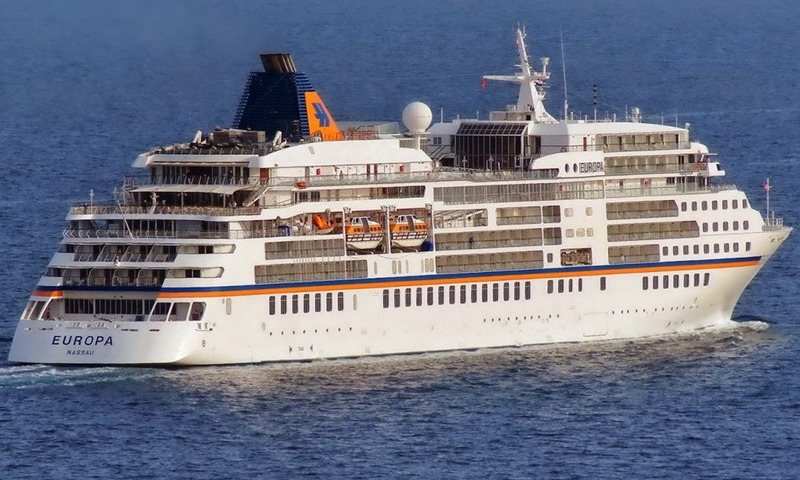 The Cowes cruise season starts just ahead of Easter with a maiden call on 17th April from Hanseatic Nature, one of Hapag Lloyd's new expedition class ships. Then from May to July, another six cruise ships are scheduled to come to the Island, including Europa, a regular visitor to Cowes. July will mark an exciting point in the development of the harbour's cruise business; the inaugural visits to Cowes of ultra-luxury cruise ships The World, Seabourn Quest, and Silver Wind. The World, the largest private residential ship on the planet, will be the first cruise ship to pay an overnight visit to Cowes on 12th-13th July. Seabourn Quest will visit Cowes on 15th July and is the third iteration of the vessel design that has been called a "game-changer for the luxury segment". Silversea's intimate cruise ship Silver Wind, which had a major upgrade in December 2018, will call on 18th July. The CHC press release can be downloaded below.